This month marks 10 years since the Accessibility for Ontarians with Disabilities Act was passed. The legislation accompanied a goal to make the province "barrier free" by 2025. David Lepofsky, chair of a group that advocates on behalf of people with disabilities. 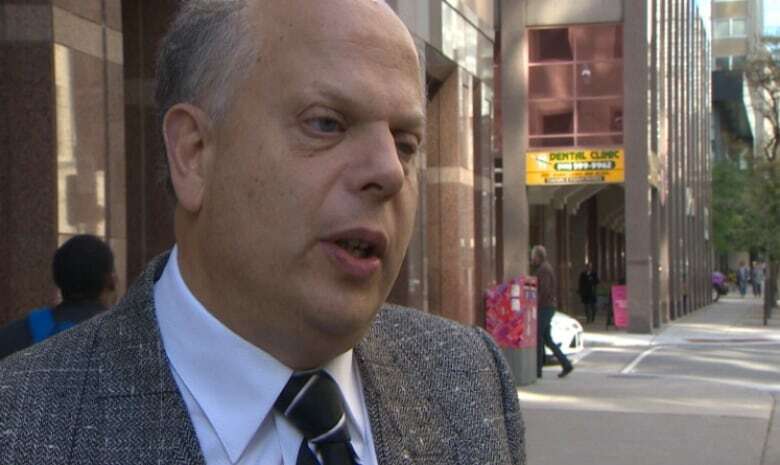 (CBC)But David Lepofsky, chair of Accessibility for Ontarians with Disabilities Alliance, said the government has largely failed to follow up on that promise. He said it could cost Toronto when tens of thousands of tourists, many of whom may have a disability, arrive for the Pan Am and Parapan Am Games next summer. "[The government] has not enacted anything to effectively address the one or two steps in front [of] a lot of stores and restaurants" throughout the city, Lepofsky said. 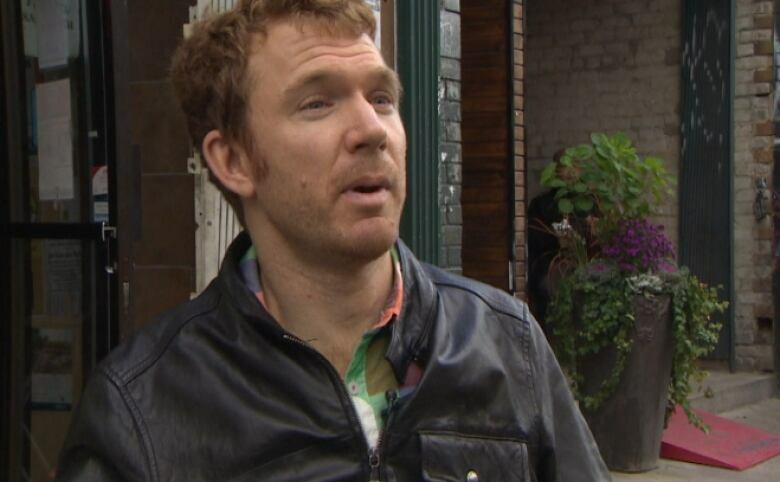 ]He said many tourists will leave Toronto jaded because barriers will impede their experience. The StopGap Foundation has installed more than 400 ramps at locations throughout Toronto, depending entirely upon volunteers and donated building materials. (CBC)"We’d like them to see a city that’s ready to welcome tourists with disabilities and their families. But right now we’re on the path to a huge global embarrassment of a city that basically isn’t ready to meet their needs." Luke Anderson founded the StopGap Foundation 3 years ago to help improve the quality of life for people with disabilities in Toronto. (CBC)The organization has built and distributed orange and yellow ramps to more than 400 businesses, and recently began installing ramps in new neighbourhoods. "A single step can make such a difference for many people. 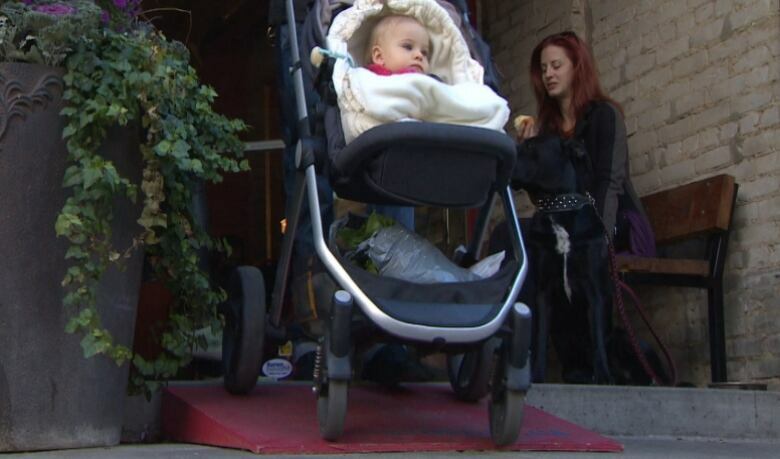 Not just wheelchair users, but for people pushing strollers and delivery people too,'" Anderson said. "It means that people understand the value of inclusion, of designing with everybody in mind." While Lepofsky supports the movement, he said the fact that making Toronto barrier-free requires the generosity of volunteers is "symptomatic of the government’s failure" to follow through on their commitment.